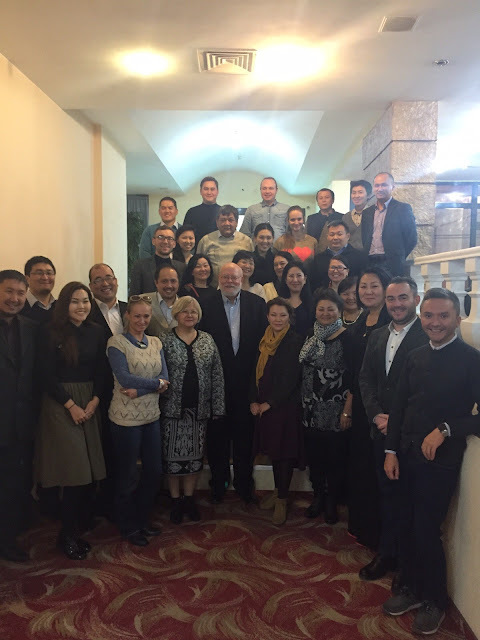 The end of March concluded the 6 month capacity development program for senior management consultants in Kyrgyzstan. 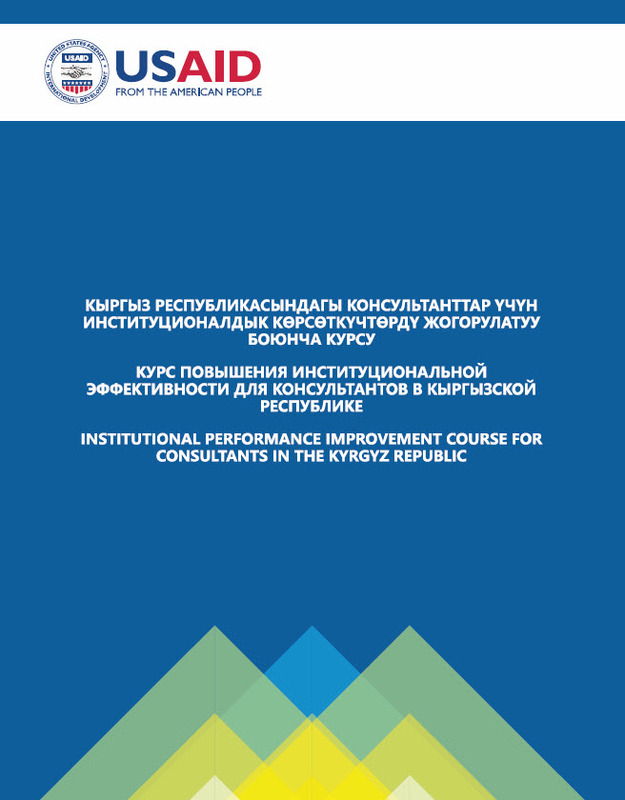 Funded by USAID, implemented by the IRG Good Government and Public Administration Strengthening project, KNO designed and delivered together with expert co-trainers the multi-module program. 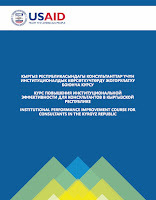 The entire effort, which included workshops, simulation, and a practicum with national Kyrgyzstan institutions, is described in a final report in Kyrgyz, Russian and English language. 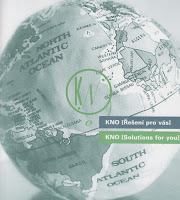 A downloadable copy of the final program overview and report (English from p. 145) is linked here. Note from Program Manager: Today we had a closing ceremony of LCCBP program, during which USAID Country Mission Director personally issued certificates to consultants. 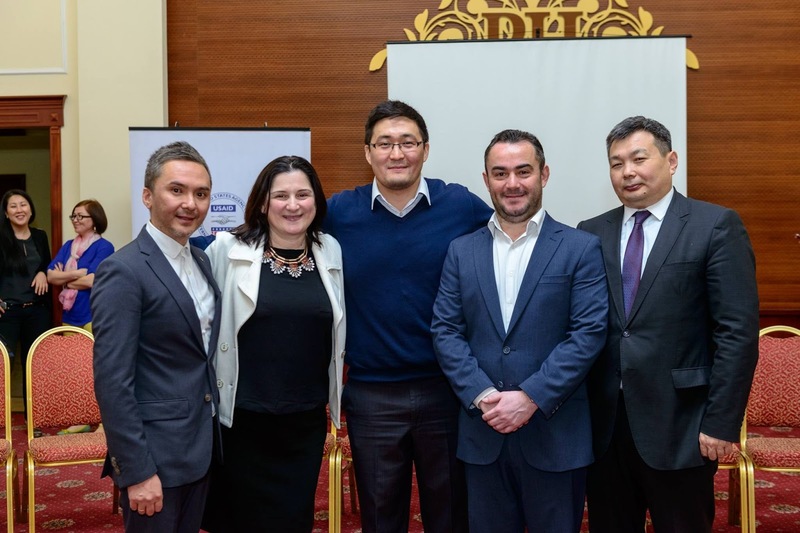 Practicum organizations also attended the event and highly spoke of the recommendations they received to improve their institutions’ performance. 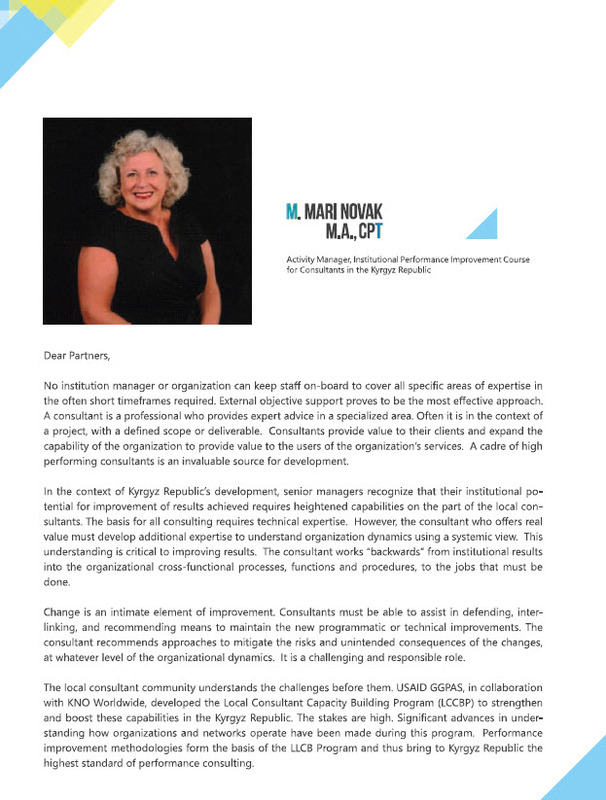 Some organizations like the National Hospital were initially very skeptical about the ability of practicum team to successfully complete the tasks set before them. 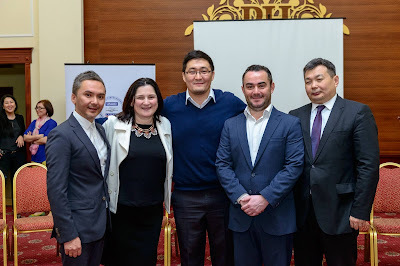 However, as the Chief Doctor of the hospital remarked today, senior management of the hospital were very puzzled by high quality of analysis and practical recommendations the team managed to develop in a very short span of time that would require no additional resources to implement on hospital’s side. This is just one example of the extent to which local consultants benefited from LCCBP and learned to apply newly acquired skills and knowledge confidently.It is worth mentioning that consultants not only learned various tools and approaches, they also established networks and even partnerships. We are seeing a few of them forming teams and already realizing several projects. Every consultant learned something new from LCCBP and according to their feedback, most are already using acquired instruments, etc, in their professions. This clearly demonstrates the immense impact of the program that KNO developed.